Abbott's statement follows deadly violence that broke out Saturday at a white nationalist rally in Charlottesville, Virginia, where participants were protesting the proposed removal of a statue of Confederate Gen. Robert E. Lee. The unrest in Charlottesville led elected officials in some of Texas' biggest cities to begin looking into taking down similar monuments in their areas. 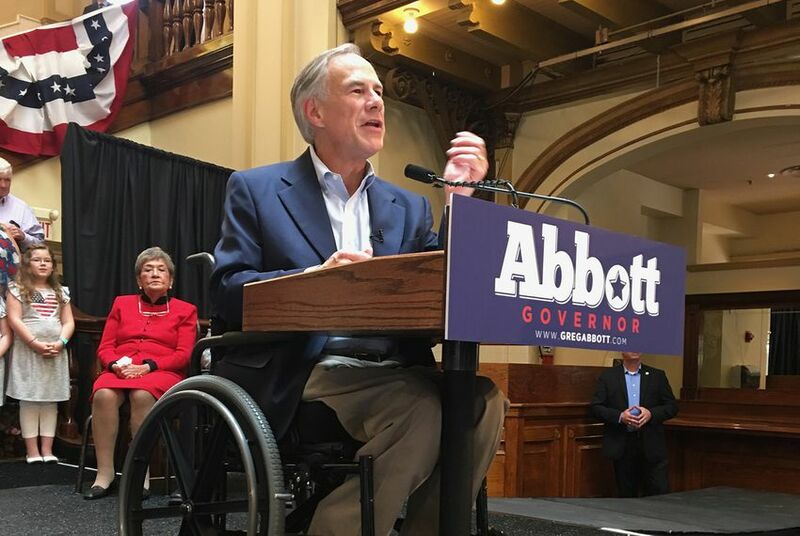 "Racist and hate-filled violence – in any form — is never acceptable, and as Governor I have acted to quell it," Abbott said in the statement. "My goal as governor is to eliminate the racist and hate-filled environment we are seeing in our country today." "But we must remember that our history isn't perfect," Abbott added. "If we do not learn from our history, we are doomed to repeat it. Instead of trying to bury our past, we must learn from it and ensure it doesn’t happen again. Tearing down monuments won't erase our nation's past, and it doesn't advance our nation's future. As Governor, I will advance that future through peace, not violence, and I will do all I can to keep our citizens safe." It's not just in Texas' cities that the debate over Confederate monuments is heating up. Earlier Wednesday, state Rep. Eric Johnson, D-Dallas, sent a letter to the State Preservation Board asking it to immediately remove a Confederate plaque outside his office. The plaque, Johnson wrote, "has no rightful place in the Texas Capitol." “Also, given the recent tragic events in Charlottesville, Virginia, I cannot think of a better time than the present to discuss the removal of all Confederate iconography from the Texas Capitol Complex,” Johnson wrote, asking for a meeting of the board to discuss the issue and requesting an inventory of such iconography at the Capitol. Even in recent history, this discussion is not new for Texas lawmakers. Two years ago, after the South Carolina Legislature voted to remove the Confederate flag from its Capitol grounds, a group of five Democratic state legislators from Texas asked the state's top leaders, including Abbott, for the creation of a task force to study the numerous Confederate monuments, markers and statues on the Capitol grounds in Austin. It doesn't appear anything ever came of the lawmakers' request. At the time, a spokesman for House Speaker Joe Straus said he'd visit with the legislators to hear their concerns. The offices of Abbott and Lt. Gov. Dan Patrick did not return requests for comment.